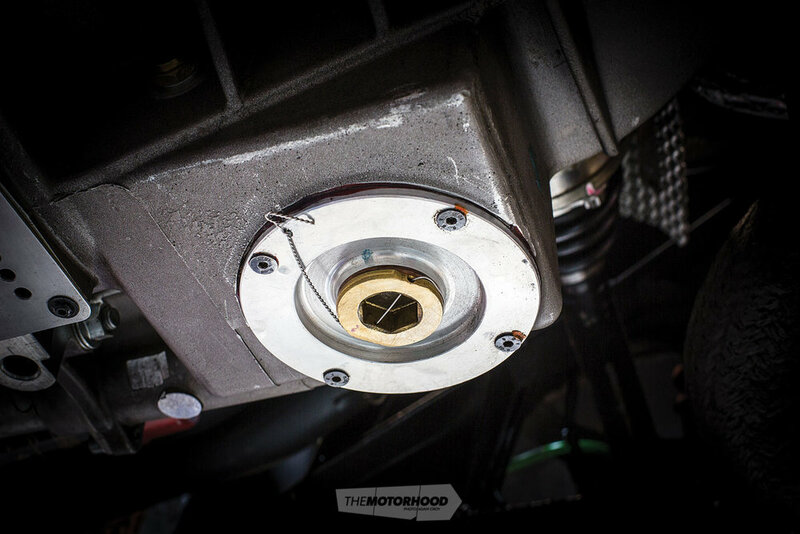 No matter whether your car is a full-blown racer, a weekend warrior, or a late-night touge runner, a major failure due to a loose fastener can be downright dangerous, and bring the fun to a halt, quick smart. But there is a super simple trick that race teams have stolen from those clever Aerospace cookies, and they’ve been using it for decades. It’s cheap, easy to do, and basically fail proof — we’re of course talking about the practice of safety wire, or lock wire, as it’s commonly called. As the name implies, this involves wire threaded through and then twisted around to attach a component, bolt, or other fastener in such a way that it will not come loose with vibration. The method is most commonly used on suspension and brake components, but its uses can stretch to drivelines and engine fasteners, too. If there is a chance of it coming loose, then lock wire that sucker! While this process can be done by hand-twisting the wire, there are specialist pliers available from most leading tool stockists in NZ. Shop around, as the same pliers can be found with $50 variance in the price. The wire itself is specific, and comes in both stainless steel and Inconel, for high-temp areas. There are also many thicknesses of wire, but two common sizes for automotive usage are .5 and .8mm. We tend to use the thinner wire wherever possible, as it is easier to work. But if you’re bridging a large gap the thicker wire is recommened. The hardest part of the entire process is actually drilling the holes through which you thread the wire. Some race hardwear from the likes of ARP comes pre-drilled, but most of the stuff off-the-shelf in NZ is not, so you will need to drill a 1.5mm hole through the bolt head. As the bolts are high tensile, you will need to use a cobalt drill piece, as your usual drill will barely dent it before going blunt. Sadly, these are about twice the price. A little tip — use a proper cutting fluid, and don’t go too slow on the drill. There are also guides you can purchase, which make life easier, and you’ll avoid snapping drill bits, but it is possible to do without, as we have done many times. There are two ways to tie the wire, the most common being the double wire technique where you thread wire through the fastener, then twist it and attach it to another fastener, so that positive pressure is always in the anticlockwise rotation. You can also secure single fasteners to components by drilling a hole in the component as near to your fastener as possible. Once you have the wire threaded through the fastener, twist it twice by hand, and then use the pliers to tighten the twist until it’s the required length to join to your securing point. Do not over twist, as it will snap. Now thread a single strand through the securing point, and twist the two pieces back together again, ensuring that the positive pressure is in the anticlockwise direction. Basically, if one of the fasteners tries to loosen, it will apply tightening pressure to the other. Snip off the excess, and then bend the sharp edges inward. Job done. Now you can thrash your car without that fear of parts failing off — happy days.